Think it's difficult to grow anything in less-than-sunny rooms? The low light house plants listed here may be the perfect solution. Most rooms in a home are not flooded with sunshine all day. But that only brings more opportunity to grow lush, green house plants that love low light spots in your home. Not sure how much light your plant needs? Look up your plant's care in the House Plants Encyclopedia A-Z. Drought-tolerant ZZ Plant is one of the easiest indoor plants, thriving in low light. What is a partially shaded (low light) location? An east-facing window where the morning sun shines into the room for only for a few hours. Morning sun is cooler than afternoon sun, so you don't have to worry about overheating your plant. 3-5 feet away from a window that faces south or southwest. Directly in front of a north-facing window gives a plant low-to-medium light intensity. That's too low for many plants, but just right for these cool characters. Cast-Iron Plant (Aspidistra elatior) This tough plant can survive extreme heat, dry air and low light for a long time. Infrequent watering makes it happy, it just doesn't like soggy soil. Chinese Evergreen (Aglaonema commutatum) Easy to please, the Chinese Evergreen likes little light and moist soil. This plant grows best when its roots are confined, so it rarely needs repotted. Corn Plant (Dracaena fragrans 'Massangeana') It will tolerate many abuses, but be careful not to overwater or over-fertilize. Likes to dry out a bit between waterings. Bird Nest Fern (Asplenium nidus) This easygoing plant shatters the myth that all ferns are fussy. A rainforest native, it revels in a partially shaded, moist environment. ZZ Plant (Zamioculcas zamiifolia) practically thrives on neglect. Keep it out of direct sunlight and water only occasionally. This low light house plant makes a beautiful room accent and asks for little in return. Pothos or Devil's Ivy (Epipremnum aureum) This hardy plant is perfectly content with low light, however its leaves may lose their variegation. 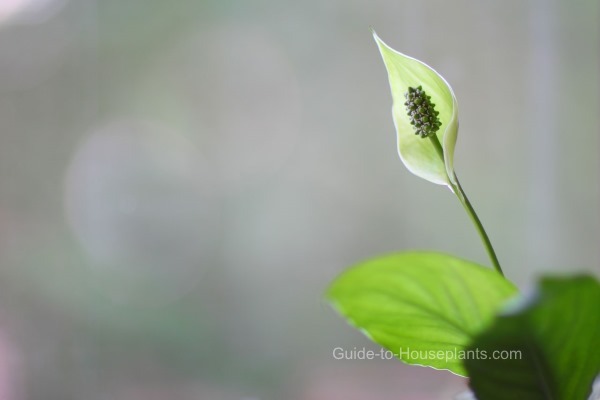 Peace Lily (Spathiphyllum) Although this fool-proof house plant will flourish with little light, you may not see many flowers on it without some moderate light. But its foliage is attractive, too. Peace Lily is easy to please in low light, but you'll want to put it near a window to get the blooms. 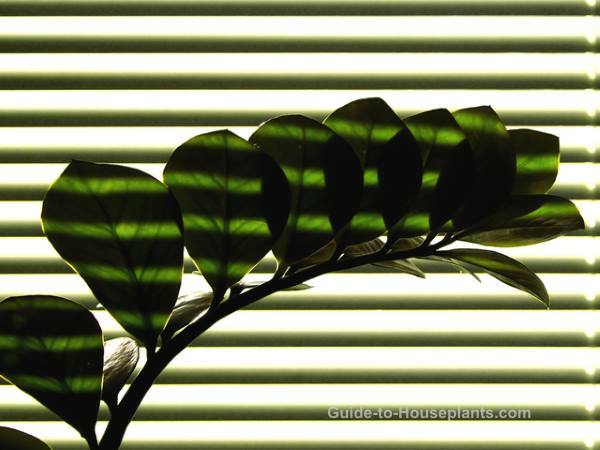 How much light does your house plant need? Get the light right...head over Indoor Plant Lighting for more information about light exposure and intensity. Want to give your house plants more light? Take a look at these indoor plant lights to make your plants thrive like never before.